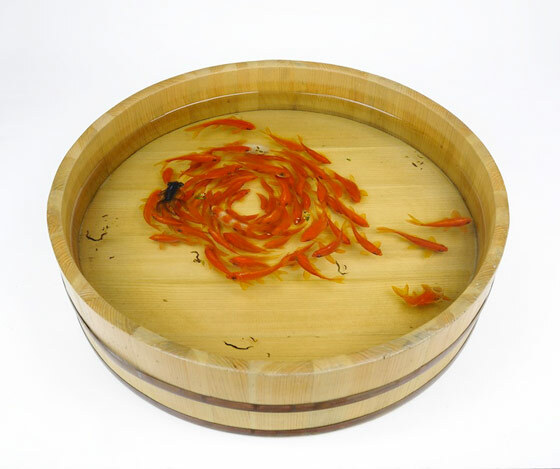 It has been almost two years since we first featured 3D goldfish painting work by Riusuke Fukahori. 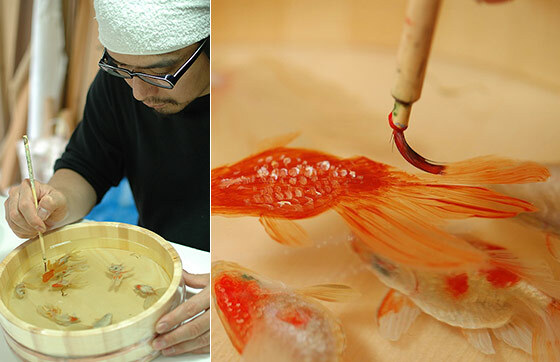 There are many other artists using the same resin painting techniques emerged after but you still can easily tell which ones are Fukahori’s just by looking at the container. 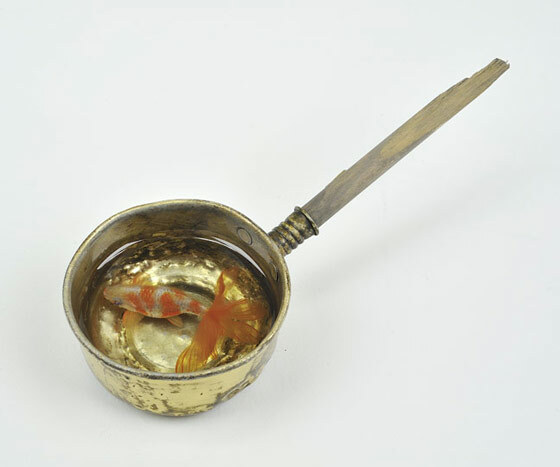 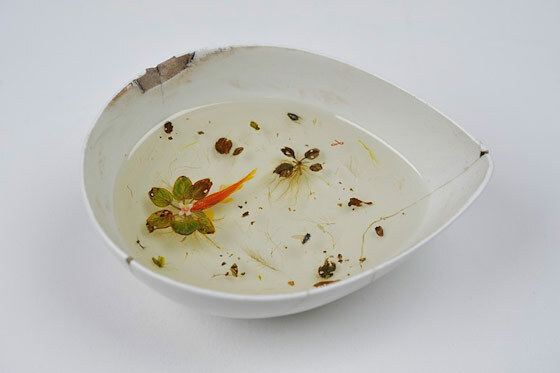 Each of his fish works are found inside common Japanese household items like bowls and buckets. 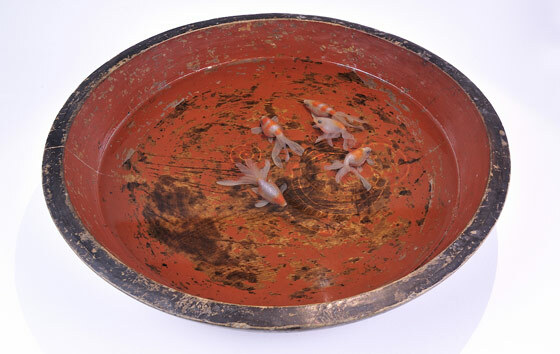 Of course, container isn’t the only thing to differentiate Fukahori and other artists’ work. 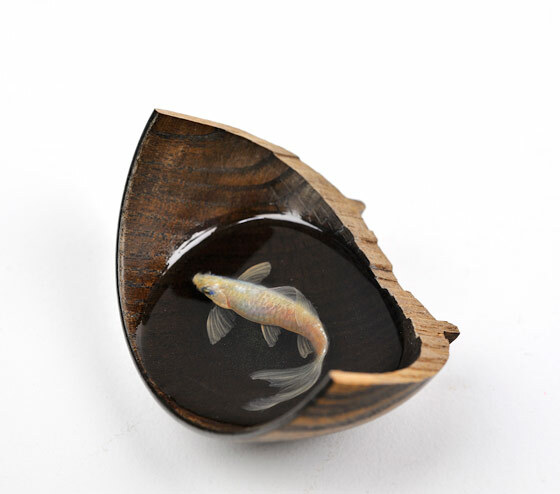 Artist’s innate fascination with those swimming creatures make him spend tons of time studying, watching, and understanding their movements in pursuit of recreating them as highly-realistic, near sculptural depictions.